What a wonderful poem! And I so love the idea of being danced, by a Higher Power, like leaves in the wind, carried and moved. Thanks for sharing. My pleasure dear Alexandra. Thanks for your comment. It is a powerful idea and feeling, indeed. Namaste. beautifully presented, thank you, Marjory! Sandilee, honored to know you feel this way dear. 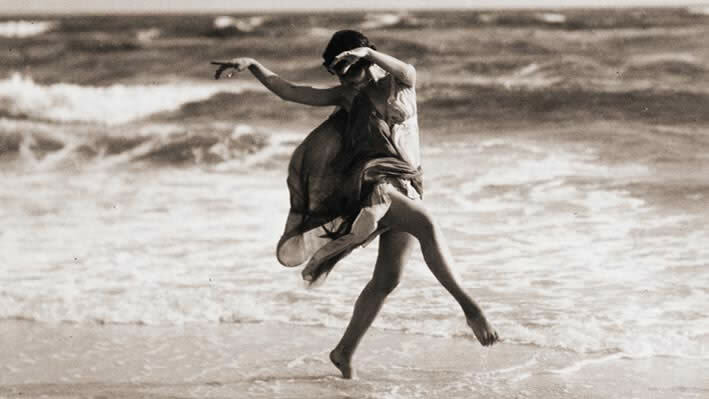 Kind thanks for finding such a precious photo of Isadora Duncan dancing on the shores of Yemaya.